All our ski holiday packages are flexible and one of the biggest choices about your holiday with Interski is how you will get to Italy. We will book your flights from an airport within your region of the UK and as close to your home address as possible, without passing on any surcharges. In the unlikely event we're unable to do this, we'll discuss options with you, or offer a full refund of your deposit. What Do You Include In Your Ski Holiday Packages? We like to make our packages simple and as inclusive as possible. 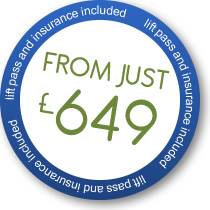 We will always include your lift pass and insurance. Some operators offer what, at first glance, seem to be cheaper prices but once these essential extras are added, the cost soon mounts up. In addition to the above, we also operate our own ski hire stocked with the latest Atomic carving skis, ski clothing hire and British based snowsports school, all of which are for the exclusive use of Interski clients. We will arrange flights into either Geneva or Turin and, once you arrive, we will transfer you to your resort. Journey times from Geneva are approximately 2hrs to Courmayeur and 2hrs 20 mins to La Thuile or Aosta/Pila. Want To Organise Your Own Flights? If you prefer to book your own flights to Geneva or Turin, normally arriving and departing on a Sunday, choose the appropriate option at the first stage of the online booking, and we will deduct £150 per person (full paying) from the air price listed. We will also include a transfer service from Geneva or Turin airports! If you're interested in our ski holiday packages by air, booking is easy! You can either give us a call on 01623 456333 and one of our sales team will be happy to discuss prices and availability with you. 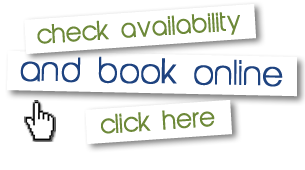 Alternatively, you can book online. Start by using our ski holiday search page which will show you all availability for the date you want to travel. Choose your preferred hotel and proceed through the options.